Procuring state of the art scientific equipments and consumables for the laboratories of these departments to undertake practical and mini research projects by the students. Introduction of an additional paper on Research Methodology for sixth semester students of these departments to orient them towards research activities. 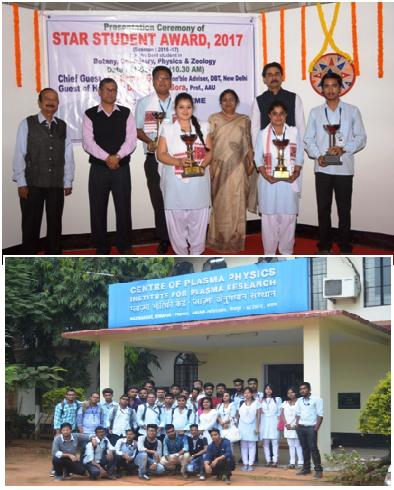 Organizing academic tours for the students of our college to reputed research institutions and industries for exposure. Organizing Guest Lectures by resource persons from the Gauhati University, the Tezpur University and the IIT, Guwahati for the students and faculty members of various departments to help them improve their critical thinking on their subjects. Initiation of Star Student Award to the best student in each of the four above said departments through a strict and transparent procedure.